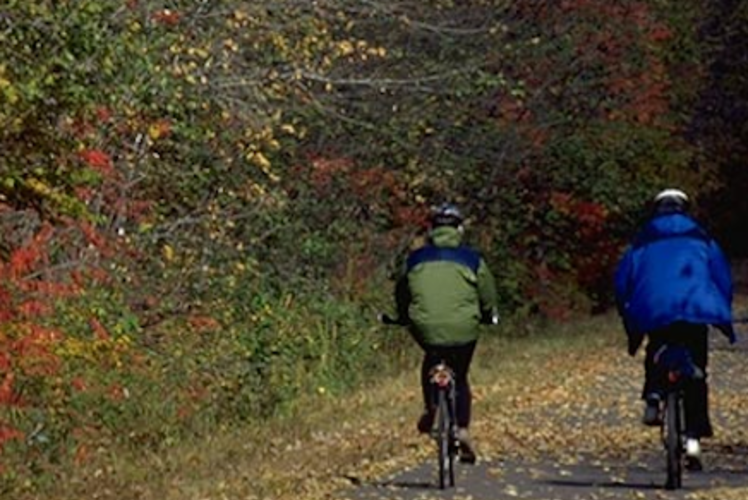 The Old Abe State Trail is a cooperative effort between the State of Wisconsin and Chippewa County. This paved 20-mile trail connects Lake Wissota State Park and Brunet Island State Park in Cornell. The trail is on an abandoned railroad grade and winds through agricultural and forest land while following the undeveloped shoreline of the beautiful Chippewa River. The trail features an abundance of wildlife and natural beauty, with many historical sites along the way. The Old Abe State Trail is part of the Chippewa Valley Trail System. When completed, the trail system will feature an 80-mile network of trail stretching from Cornell, through Chippewa Falls and Eau Claire to Durand and Menomonie.